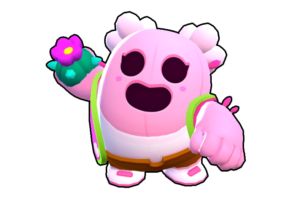 Piper is one of the popular long-range shooters in the game, She does incredibly heavy damage, If two shots reached properly, It almost kills the Enemy Brawler.Let's learn about Piper's Tips, Tricks, Strategies, Wiki & complete guide about … [Continue reading] about Piper Brawl Star Complete Guide, Tips, Wiki & Strategies Latest! Poco Brawl Star Complete Guide, Tips, Wiki & Strategies Latest! Poco is an excellent all-rounder of all Brawlers, He has a Violin in his hands, It generates a music which harms enemy brawlers.Poco's attack is a wide ranged one, He can attack multiple enemies at once who all are coming in his range, Let's … [Continue reading] about Poco Brawl Star Complete Guide, Tips, Wiki & Strategies Latest!